Individually, they are small fund-raising efforts. A bake sale. Some students collecting coins while holding firefighters’ boots. But collectively, along with the help of an industry partner, Durham College’s Fire and Life Safety Technician program [FLST] has donated more than $3,100 to the Sunnybrook Hospital Ross Tilley Burn Centre. Harding Fire Protection Systems, an Ontario fire protection organization, was a key contributor, donating $1,000 as part of Fire Prevention Week in October. The donation was made Nov. 5. Fire Prevention Week featured educational and interactive events at DC. A firefighter “challenger” obstacle course by the bus loop, alarm-pulling demonstrations and a trivia wheel full of prizes. Every year, the FLST program selects a different charity to support during Fire Prevention Week. 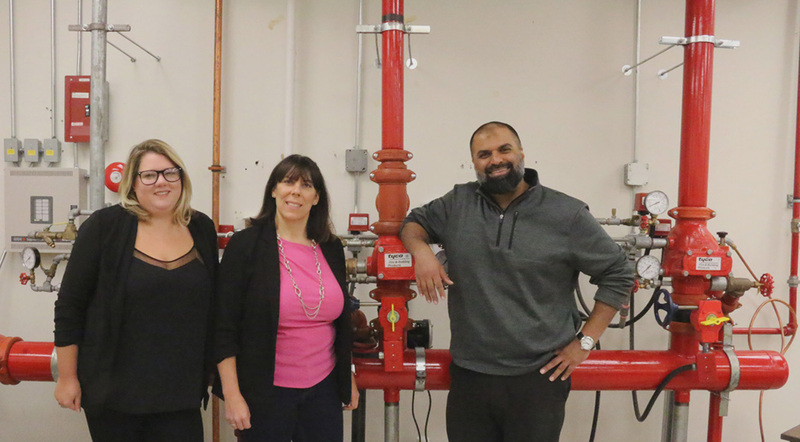 FLST Program Coordinator Randy Panesar said the students researched Sunnybrook and agreed to support the hospital because of its fire and life safety connection. “[We wanted to] support [Sunnybrook’s efforts because they] provide medical care to those who have been affected by fire or fire-related incidents,” Panesar said. Jennifer Gourley, president of Harding Fire, said the organization has partnered with other Ontario colleges but focuses its attention on DC. She said she is amazed at the readiness, preparedness and knowledge of the students. Molly Orpin, manager of marketing and strategy at Harding Fire, said the organization has donated to Sunnybrook Hospital in the past. Panesar said Harding Fire will become a resource for DC students, with company officials coming in as guest speakers and providing networking opportunities to further careers. Mark Pitropov, student VP of the FLST program, said he is grateful for donations from students, faculty and Harding Fire. Next article100 UOIT hockey games as teammates. Two best friends. One shared milestone.